Delaware Technical Community College through the division of Workforce Development and Community Education offers a variety of pre-college activities. College staff provide mentoring, education, enrichment and motivation to Delaware's youth. Exceptional programs are developed and delivered to empower and guide youth as they reach personal goals and achieve academic and professional success. In-school, after-school and summer programs. Children from ages 6-12 enjoy a week of FUN and learning! Join us for the entire week or feel free to take advantage of our daily rates where you can come only on one, two, or three days if it fits your schedule best. (Note: Extended-day rates available). Make new friends, learn, and have lots and lots of FUN! Our Camps program allows students to explore a variety of enrichment activities throughout the summer while experiencing the College environment. Each camp is a unique experience that provides the best of both worlds: EDUCATION and FUN! Learn new skills, make new friends, and have FUN in a safe environment! Delaware Tech's Upward Bound Math Science Initiative is a federally funded pre-college TRIO program designed to prepare high school students for postsecondary education programs that lead to careers in the field of math and science. In addition, the program provides students with academic support services designed to assist them in the successful completion of high school, and post secondary education. Students are exposed to a variety of educational and cultural events and are introduced to the college experience through overnight activities that mirror a college residential program. 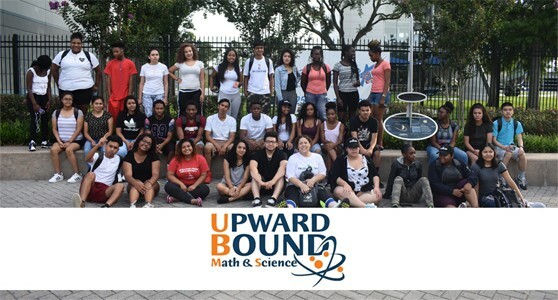 Moreover, campus tours, cultural trips, and college centered activities are an integral part of the Upward Bound Math Science Experience. As a federally funded program, there are no costs to the students! To apply please submit an application packet or for more information call (302) 830-5220. Upward Bound Classic is a FREE academic and college preparatory support for high school students on their path to earning a college degree. For more information and/or to apply, please call 302-657-5120 or send an email to cwhiteh4@dtcc.edu. Interested participants can also download the application here. An academic recreational program designed to increase academic performance and parent-school connectedness, while strengthening our communities with productive young adults. Dart Bus Passes provided to those that need them. For students who attend "Fun Fridays" at Fraim Boys and Girls Club--limited transportation is provided for those that live in the following zip codes: 19805, 19804, 19802, 19801. For more information or to apply, please call (302) 657-5118 or download an application. This program is funded by the US Department of Education’s 21st Century Community Learning Center Program. “Choice Not Chance” is a partnership between Delaware Technical Community College, Red Clay Consolidated and Christina School District, Clarence Fraim Boys and Girls Club and the Delaware Office of Volunteerism. STEM Up Delaware is a new program that provides services and resources that will increase college readiness and advance the academic standing of students in STEM education. The program will prepare students to be successful candidates to pursue degrees in healthcare or other STEM fields.